The celebrated Mary Kom Tuesday became the most successful pugilist in the Women’s World Championships history by assuring herself a seventh medal while three more Indians reached the semifinals to be assured of their maiden medals here. The 35-year-old Mary, a mother of three, defeated China’s Wu Yu by 5-0 in the light flyweight (48kg) category quarterfinals to enter the last-four stage and be assured of at least a bronze. 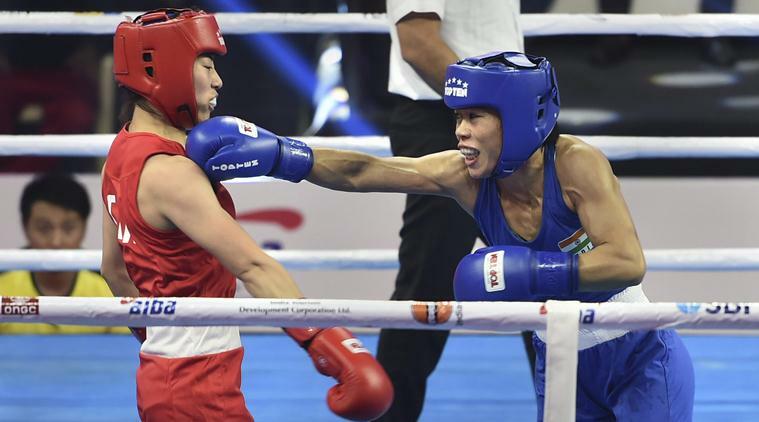 Lovlina Borgohain (69kg), Sonia Chahal (57kg) and Simranjit Kaur (64kg), part of India’s young brigade in the boxing team, also reached the semifinals to be assured of medals in their debut World Champinshiips. The 21-year-old Borgohain, an Asian Champrionships bronze medallist last year, beat Scott Kaye Frances of Australia in the quarterfinals in a unanimous decision while Sonia, also 21, was a 4-1 split decision winner against Maecela Yeni Castenada of Columbia.